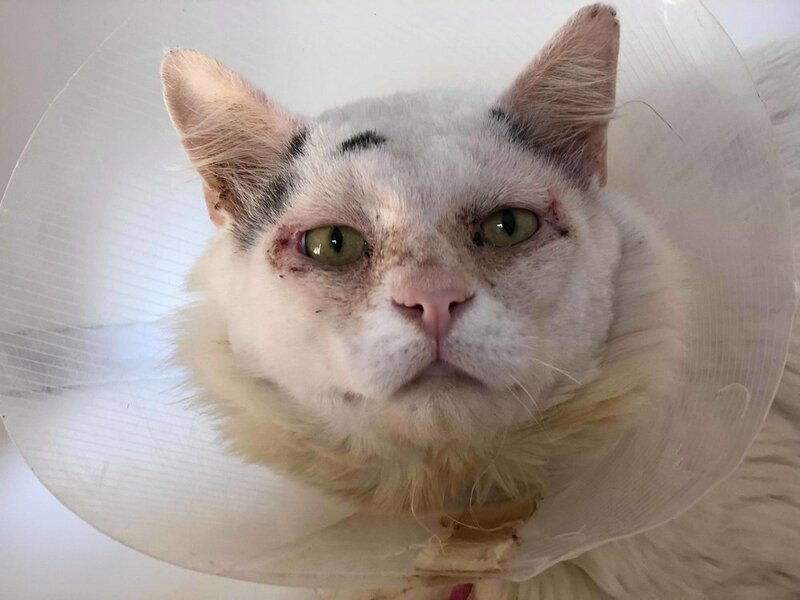 Arthur may look rough due to his post-surgery shaved face but this special boy is actually well on his way to making a full recovery from a painful eye condition called entropion. Entropion is a condition in which the eyelids are turned inward. This means that the cat's eyelashes are turned in towards the eyeball. Severe cases can cause the cat's fur to rub against their eyeballs and require surgery to correct it, as was the case for Arthur. Arthur was rescued living as a stray. He turned out to be a big softie - this fluffy boy is very sociable and has quickly become a volunteer favourite. He has taken all the required treatment and eye cleaning that was needed after his surgery in his stride and been gentle and tolerant throughout. He’s estimated to be approx 4-5 years old. Arthur has been FIV/FeLV tested and is negative for both. 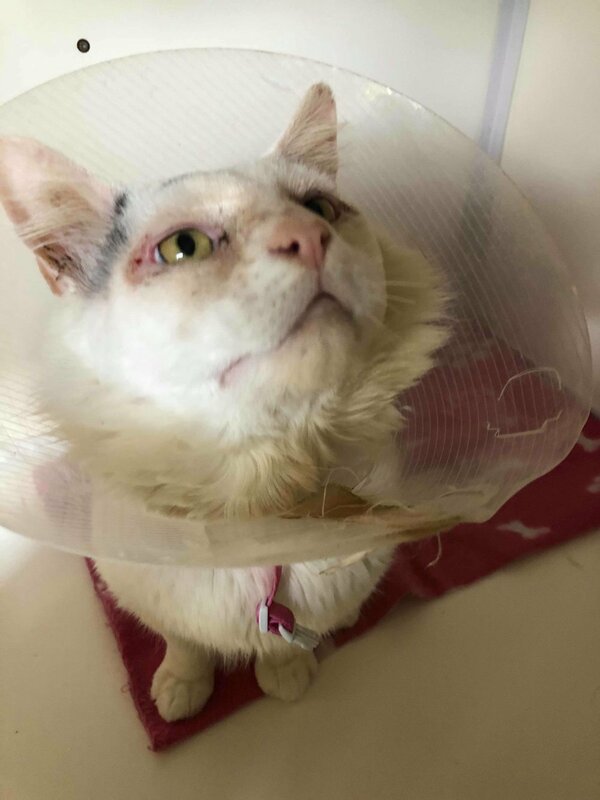 His eyes are healing well and he’s in great health and now ready to find a new home. We are looking for a home with outdoor access in a safe location for Arthur. As he is very sociable he could potentially live in a home with cat-savvy older children. In general he’s just looking forward to finding a loving forever home of his own so he can put his time living as a stray behind him and start enjoying home comforts and the guarantee of a full bowl of food every day! As his fur grows back, he’s sure to turn into a superbly handsome boy again. Arthur is at our rehoming hub in Abbey Wood, SE2.